1st Trimester is over and on to the 2nd. 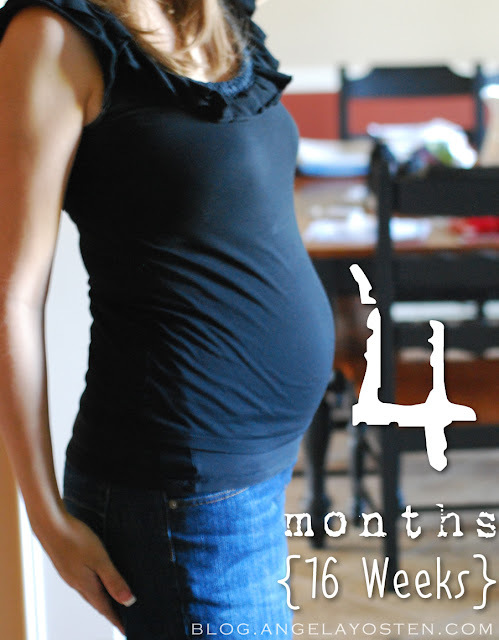 Luckily during my first trimester I experienced no nausea or morning sickness. I did seem to get tired fairly quickly and I actually have had a very healthy appetite with this pregnancy which is sooo completely different from my previous pregnancies. With my other two kiddos, I craved very unhealthy foods and could eat and eat. Not with this one... which I actually am kind of thankful for. :) My cravings consist of chicken and fruits... lots and lots of fruit. My energy level is finally ramping back up and I am feeling pretty darn great! Anyway... stay tuned for the ever growing belly shots. You are so tiny! You look great! Congrats! I was wondering if you would post some belly shots for an update! Hi Angela.. Congratulations!! I am also 10 Weeks along.. My due Date is Feb 20th... Better start on some more baby quilts! Congrats Angela i miss being pregnant my little one is almost 8 months old.